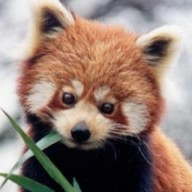 I Like Red Pandas | Dexless, Maplestory Guides and More! Discussion in 'Maple Island' started by Zelly, Dec 1, 2017. Yo I'm the guy from the discord who like red pandas, anime, video games and on my worst days that includes even Maplestory. Sometimes you just want something mindless to grind on. I'm hoping this site become just as grand as Basilmarket before it committed site suicide. Hi Zeru, welcome to Dexless! Things have slowed down a bit since Zelk's been slackin', but trust us we're still working hard on content to make this site awesome! Don't worry, we don't plan on completely ruining the site layout. We listen to our community unlike some sites.